Microblogging social networks (µBSNs) provide the opportunity to communicate worldwide making use of a small number of characters; an apparent limitation that forces users to share only essential information when linking to the world with which they interact. These platforms can serve to motivate students by narrowing the physical and psychological distances separating teachers and students, thus increasing their confidence and engagement in the learning process. The main thrust of this paper is based on the notion that µBSN opens a window on informal knowledge, self-directed learning and the creation of knowledge-based networks for use in the classroom setting. To examine this issue in greater depth, an experiment was carried out using a µBSN before, during and after face-to-face class sessions. In this study we used the Technology Acceptance Model (TAM), incorporating some of the constructs commonly found in the scientific literature. These constructs refer to the effect of subjective norms and social images on the use of web-based social networks. The analysis gave rise to a robust and parsimonious model of social network usage behavior that confirmed the proposed research hypotheses. 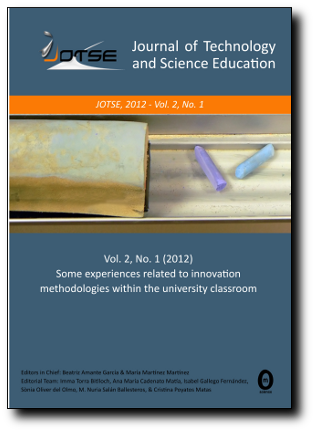 The findings demonstrated that he extended TAM model is suitable for explaining the acceptance of web-based teaching tools as well as the validity of microblogging networks in combination with traditional classes.